Bundesliga | Bayer Leverkusen vs. Eintracht Frankfurt: As it happened! Bayer Leverkusen vs. Eintracht Frankfurt: As it happened! 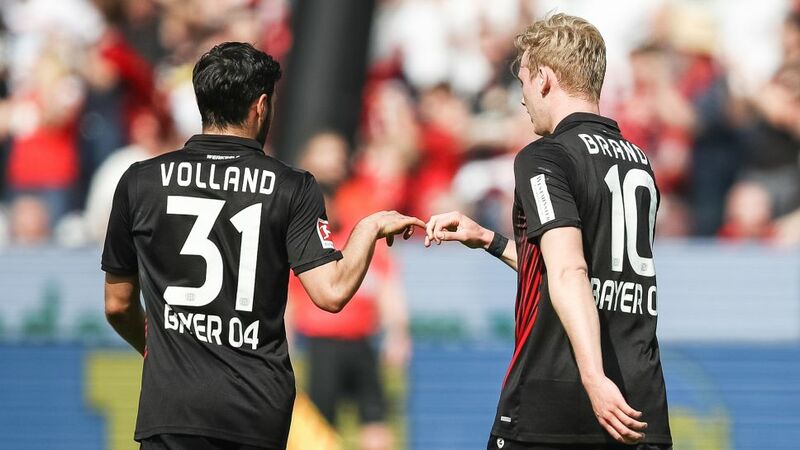 Kevin Volland scored a second-half hat-trick as Bayer Leverkusen's top-four chase gained momentum with an impressive win against fellow European hopefuls Eintracht Frankfurt at the BayArena on Matchday 30. Follow all the build-up, match action and reaction in our LIVE blog below! Click here for the Bayer Leverkusen vs. Eintracht Frankfurt match centre!